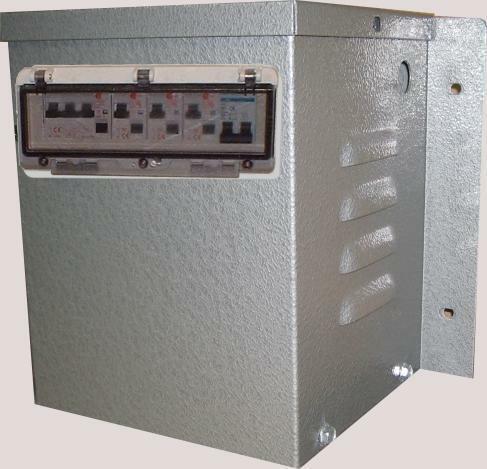 A range of extra safety isolation transformers that offer extended protection for areas of extreme risk of electric shock. Ideal for schools, collages and public areas where there is a high risk to children and general public coming into contact with electrical distribution. Category: Extra Safety Transformers. Tags: 3KVA, Extra Safety Transformer, Safety, Transformer, Transformers.